Looks like a good interface for a touch screen. Looks just like NG Topo!. Same maps, same features, and same capabilities. It looks like it has an updated interface. unwiredadventures wrote: It looks like it has an updated interface. I thought that NG Topo v4.5 did that as well. DaveK wrote: Looks just like NG Topo!. Same maps, same features, and same capabilities. Actually, it looks better to me. NG Topo, IMO, is very difficult to work. I've had many issues with it's tracking ability. The interface appearance of this software looks much more user friendly (could be deceiving ), and it looks like it would zoom to a higher resolution than NG Topo. It also appears that the maps are more expensive (CA requires 3 map packs @ $40 each vs $80 total for NG Topo), but you probably get what you pay for. 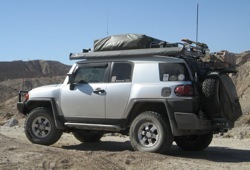 What Overland Navigator map pack is needed for Borrego and Mojave? i use the Overland Navigator on a net book mini it works good. the map pack you need for borrego and Mojave is the southern california one. it has all of so cal all the way up to i think bakersfield. Perfect! I just ordered from Craig. He didn't have many in stock. ralphie wrote: i use the Overland Navigator on a net book mini it works good. 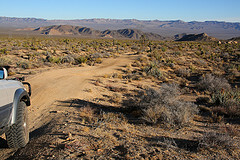 the map pack you need for borrego and Mojave is the southern california one. it has all of so cal all the way up to i think bakersfield. Ordered a copy today! The Toughbook will ready soon.